When the first all-steel small frame (J) revolver was introduced in 1950, it became an instant success. Originally named the Chiefs Special by the International Association of Chiefs of Police, it has become the first choice for those who insist on an all steel, small frame revolver with greater recoil control and proven performance. 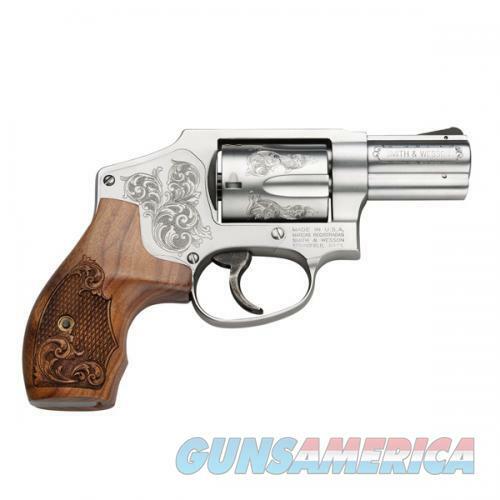 The Smith & Wesson J-Frame has become the most popular small frame personal defense revolver on the market. In 1995, Smith & Wesson introduced the Model 640, the first J frame revolver chambered in the powerful .357 Magnum round. Based on Model 40 Centennial, the Model 640 is a small frame concealed hammer revolver that packs a full-sized punch. Beautifully enhanced with diamond-tipped machine tool scroll engravings on the frame and cylinder, the Model 640 integrates the time-tested features of the original with modern advancements.